This book explores Islamophobia in Australia, shifting attention from its victims to its perpetrators by examining the visceral, atavistic nature of people’s feelings and responses to the Muslim ‘other’ in everyday life. 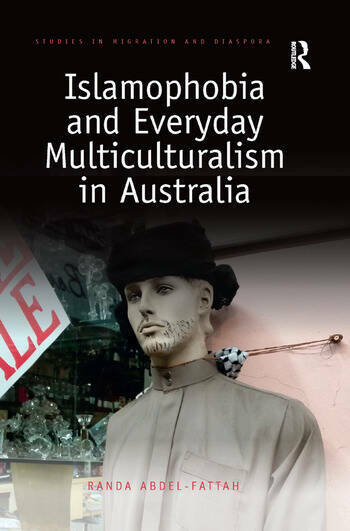 Based on ethnographic fieldwork, Islamophobia and Everyday Multiculturalism sheds light on the problematisations of Muslims amongst Anglo and non-Anglo Australians, investigating the impact of whiteness on minorities’ various reactions to Muslims. Advancing a micro-interactional, ethnographically oriented perspective, the author demonstrates the ways in which Australia’s histories and logics of racial exclusion, thinking and expression produce processes in which whiteness socializes, habituates and ‘teaches’ ‘racialising’ behaviour, and shows how national and global events, moral panics, and political discourse infiltrate everyday encounters between Muslims and non-Muslims, producing distinct structures of feeling and discursive, affective and social practices of Islamophobia. As such, it will be of interest to social scientists with interests in race and ethnicity, migration and diaspora and Islamophobia. Randa Abdel-Fattah is a Post-Doctoral Research Fellow in the Department of Sociology at Macquarie University, Australia. Her PhD was on Islamophobia, racism and everyday multiculturalism. She is an award-winning novelist and spends her time promoting human rights in relation to migration and multiculturalism through various media outlets, and is a regular speaker throughout Australia.